DANIEL NIGRO: Reduce leave, regain staffing. JAMES LEMONDA: ‘Absurd’ standard hurts safety. GERARD FITZGERALD: Cut ‘endangers’ us and public. 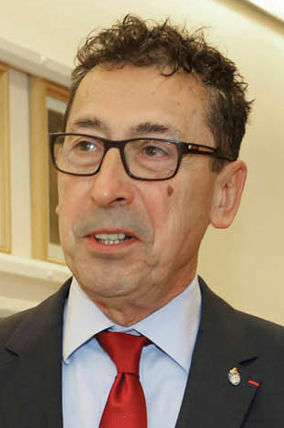 With the Fire Department absentee rate still above 7.5 percent, Commissioner Daniel Nigro, for the second time in less than four months, exercised his prerogative to reduce the 10 engine companies with five Firefighters, back down to four per engine, according to a statement released by the Uniformed Firefighters Association. Last December, that threshold was triggered and the fifth Firefighter was taken off, until the day after Christmas when the five-Firefighter crews were restored. At the time, the FDNY cited operational concerns related to the extreme cold weather. For one day, when conditions got really bad the five-Firefighter crews were extended citywide for a day. Commissioner Nigro’s order March 12 to go back to the four-Firefighter crews rolls back that post-Christmas reprieve for the 10 companies. 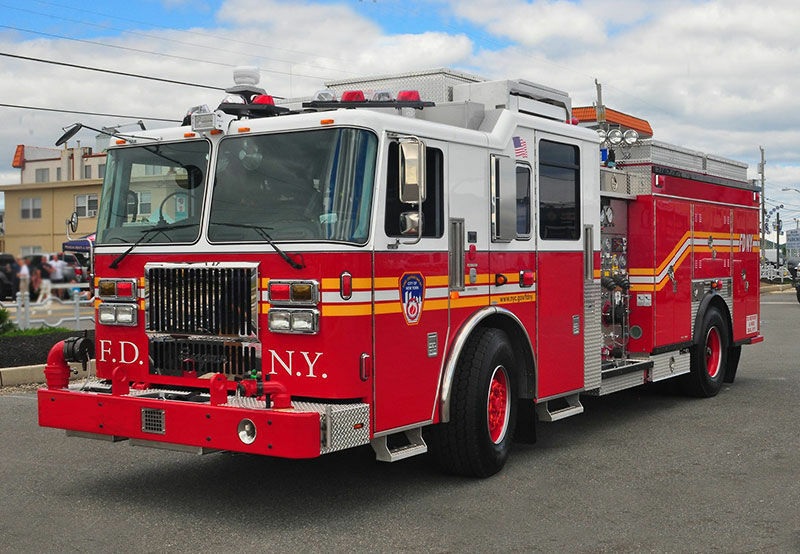 Earlier this year, the absentee rate prompted the FDNY to also not phase in the five additional five-Firefighter engine crews, as called for under the contract. In 2015, under the UFA’s last contract negotiation, former UFA president Steve Cassidy and the de Blasio administration agreed to phase in 20 five-Firefighter crews over the next few years. For decades the five-Firefighter crews were standard. But gradually over the past three decades, thanks to city budget constraints and a bad gamble by delegates of the UFA in rejecting a 1989 contract deal, they all but disappeared during Michael Bloomberg's 12-year tenure as Mayor. At the end of 2017, when the absentee rate exceeded the 7.5-percent threshold, the UFA asked management to see if taking active-duty members who were sidelined by 9/11-related ailments out of the "out-sick" calculations would make a difference. The FDNY told this newspaper that it has since concluded that excluding those members would not make enough of a difference. The latest absentee rate came in at 7.55 percent, down from the high of 7.58 percent, which the FDNY calculates is equivalent to having 590 Firefighters out sick. In a statement, the UFA emphasized that the department's out-sick numbers did not account for the combination of those Firefighters who are out related to WTC health issues and the flu. The union said this year’s flu outbreak had been categorized as "an epidemic" by the U.S. Centers For Disease Control and Prevention. "With over an 11-percent increase in the amount of runs in the first two months of this year, the FDNY is on pace to shatter last year's run record by 70,000 more runs," wrote Robert Eustace, UFA recording secretary, and Gerard Fitzgerald, union president. "The constant removal and reinstatement of the fifth man endangers not only Firefighters but the residents of the City of New York." In prior interviews, union officials have said that the FDNY’s increased emphasis on "post-fire" wellness checks and mandatory monitoring, while welcomed, have also sidelined more Firefighters than in the past. According to the Mayor’s Management Report, updated just last month, in the first four months of Fiscal Year 2018 there were 3,448 Firefighter injuries, down from 3,550 over the same period the year before. Over the last three years, on-the-job injuries have been trending up: 8,926 in Fiscal Year 2015, 9,416 in Fiscal Year 2016, and 9,643 in Fiscal Year 2017. The incidence of Firefighters getting burned went from 26 in the first four months of the previous fiscal year to 79 from July through October last year. On an annual basis, burns were down from 218 in Fiscal Year 2016 to 203 in Fiscal Year 2017. In January, both the UFA and the UFOA called for the restoration of five-Firefighter crews citywide, citing the growth in call volume and city population as well as increased traffic congestion. The drive for increased staffing came right after the FDNY announced a dramatic spike in civilian fire deaths last year, with 73 reported, 52-percent higher than the 48 posted in 2016, which was the lowest total ever recorded. Twenty-six of last year’s fire fatalities came in the last month of 2017. Back in 2008 the civilian body count was 86. The UFOA’s contract expires this month and the UFA’s lapsed last Aug. 1.